What immaculate stamping and perfect placement Jen... stunning as ever! Wow! This is really stunning! Beautiful card Jen, very classy. Absolutely beautiful, Jen! This card provided some much needed inspiration to get me stamping a card I had to make for later this week. Thank-you! Very stylish monochrome Jen, this looks stunning! Great to see you playing along this week Jen and love your immaculate stamping and crisp lines. 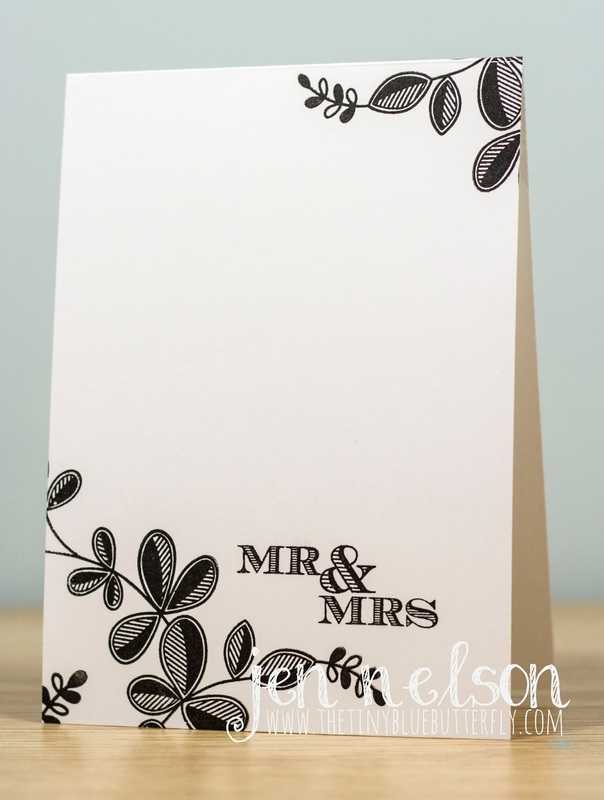 I love this card....simple and wonderful! I love your layout here, Jen. Such a classy make too. Sorry I'm so late visiting!